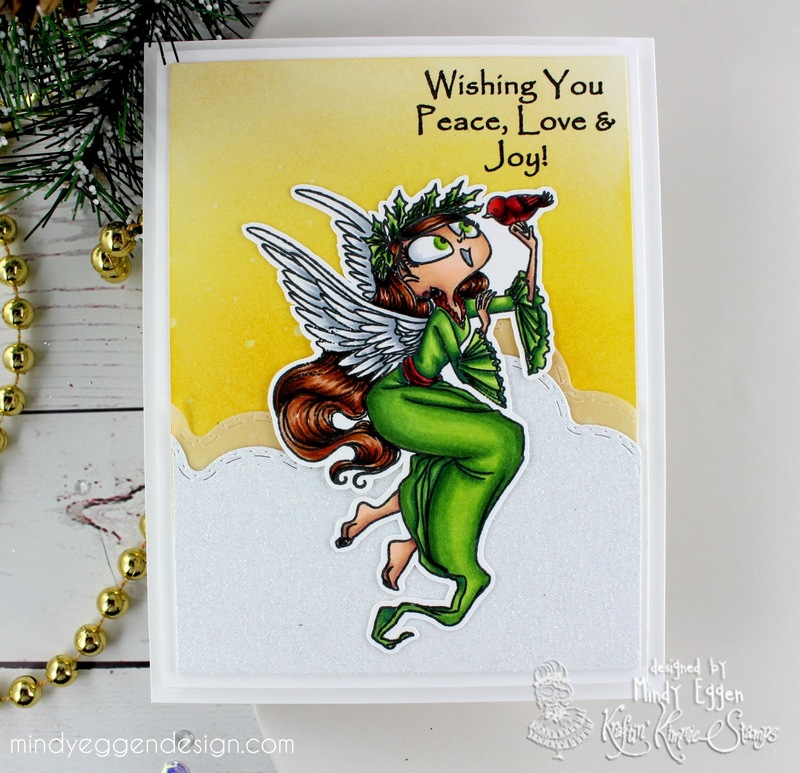 Welcome to Day 1 of Sneak Peeks with Kraftin Kimmie Stamps! 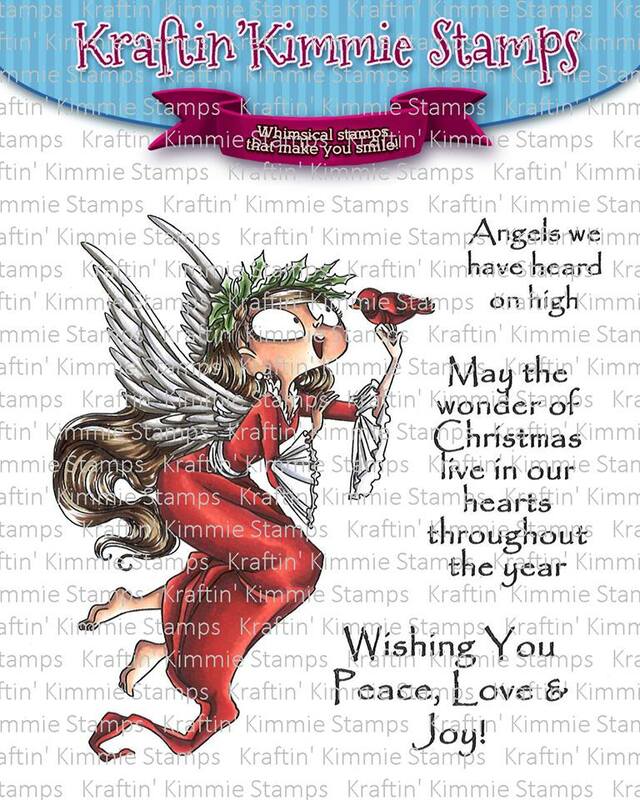 We have amazing holiday stamps to share with you so be sure to visit back each day!! 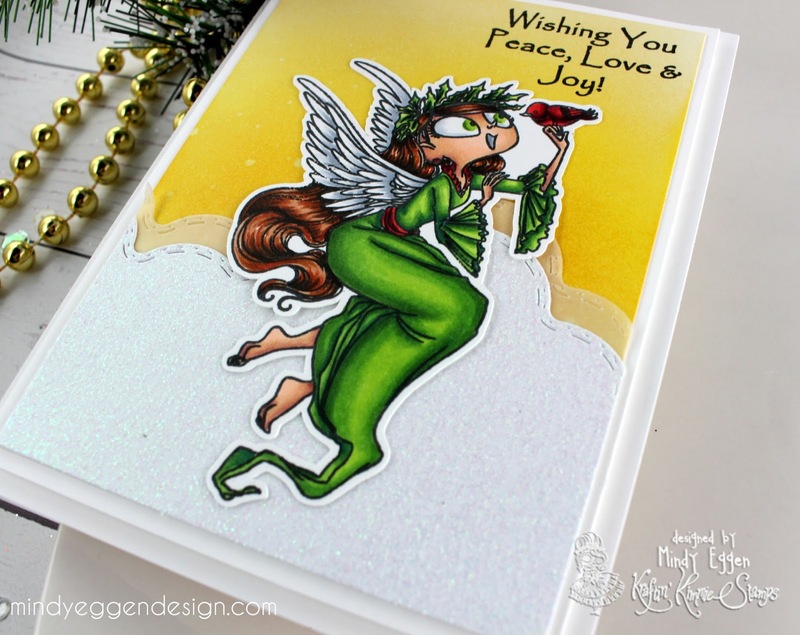 Today we have our first ethereal stamp set (there *might* be another one tomorrow) and it’s called ANGELICA ANGEL! This gorgeous clear stamp set features a sweet, lovely angel with her birdie friend plus three coordinating sentiments! Just think of the beautiful holiday creations you could make featuring this set! For my card, I started out by stamping my image onto Neenah White cardstock with Simon Says Black Ink. Then I cut it out with my Scan n Cut machine. Next, I created my background for her. Using Bristol Smooth card, I ink blended distress inks Scattered Straw, Mustard Seed and Wild Honey. Then I sprinkled some water on it. I also added some Sheer Shimmer Spritz. It’s hard to see in the pictures but it has a beautiful shimmer to it. Next, I cut some clouds from Vellum and White Glitter cardstock. Plus we’re doing a GIVEAWAY of the ENTIRE release on the Krafty Friends facebook page! Be sure to join us at the LIVE Online Release Party on Saturday afternoon at 2pm EST! 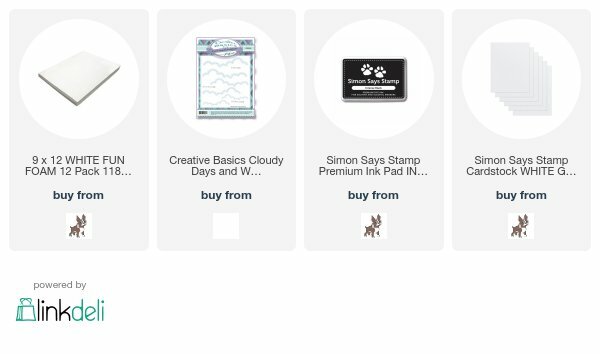 We’ll be checking out ALL of the FOUR new clear stamp sets, sharing fabulous creations, giving away prizes and having tons of krafty fun! The winners of all our giveaways going on this week will be announced at the party so don’t miss it! Green is fabulous! The clouds and background too. Love it! Love the green and yellow together! Love the green and yellow. Great job! The green dress is amazing!! Beautiful! Love the background! It's cool how you listed all the products you used too! Wowzers! This is definitely one of my favourites today. Your colours really pop with a simple but STUNNING design! just amazing!!!!! Love that you used the classic Christmas green. Love the green! So pretty. Love the way you added layers and different textures. So pretty! Love her eyes too! Super pretty card! Awesome coloring and design. Great card! Love the layers. That's such a great card !